At the recommendation of a friend, I just finished reading The Trump Prophecies: The Astonishing True Story of the Man Who Saw Tomorrow...And What He Says Is Coming Next. I marvel at the number of evangelical Christians who seem to think this book is prophetical, biblical, or even logical. 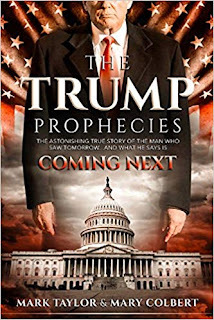 The Trump Prophecies is a book about an alleged vision given to retired firefighter Mark Taylor when he was deathly ill in April 2011. Mr. Taylor says the "Holy Spirit revealed" to him that Donald Trump would be President of the United States before Trump even "announced he was running for President." This alleged "prophecy" later fell into the hands of charismatic authors, Don and Mary Colbert, and God "used this new team of passionate individuals to lead the nation into a fervent prayer chain that would accomplish one of the most incredible miracles our country has ever seen." (Their words, not mine). I find it startling the number of evangelicals who think God cares more about he who sits in the Oval Office than He who reigns over the eternal Kingdom. Most American evangelicals struggle with myopia. We blur the little "k" of our nation and personal prosperity with the big "K" of Christ and the principles of grace. It seems to me God is more concerned that His people live committed to careful allegiance for the big "K" than He is that His people live comfortable with captive attention on the little "k."
As an evangelical, I find it remarkable that some Christians deem American economic and national prosperity more important than "every spiritual blessing in Christ" (Ephesians 1:13). As a historian, I find it sophomoric and puerile to equate Donald Trump to Persian King Cyrus. As an American who cares about my country, I find it distasteful to act as if a vote for Donald Trump is a vote for God. Before you criticize these words, understand that I voted for Trump, and I very well may vote for him again. I'm not anti-Trump. What I am is anti-anything that exalts Trump, American politics, and America's future over the real Triumphant One, Kingdom principles, and eternity. Empires rise and empires fall. Countries come and countries go. Leaders are established and leaders are removed. People are born and people shall die. The Kingdom of Christ alone shall stand. The authors give five reasons why The Trump Prophecies should be read by Americans. I will give their five reasons and then briefly unwind them to show why the book should be ignored. *"If you read the book and will learn How the Lord can and will use anyone regardless of education, background, or health to communicate His message to the Church of Christ." 1. Of course God can use anyone to communicate His message. The problem with The Trump Prophecies is the message. The message we all need to hear is one about Christ and what He says about how to live our lives. You won't get that message in The Trump Prophecies. 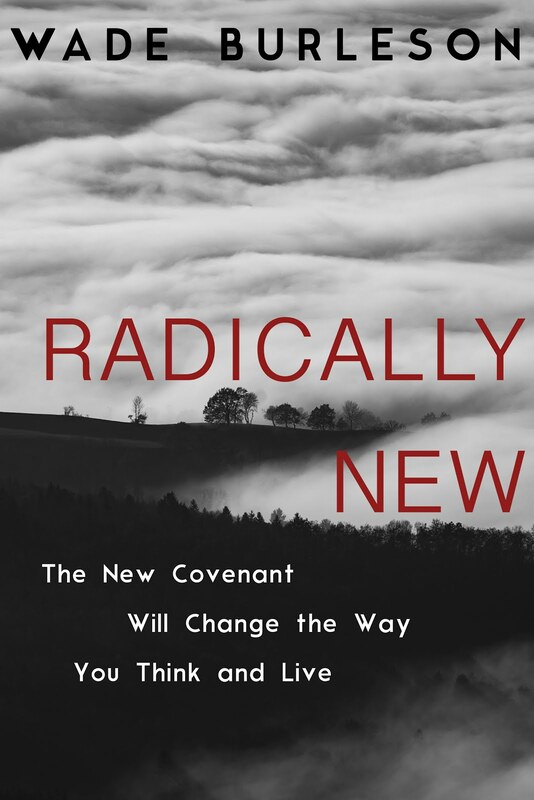 *If you read the book you'll learn what led to the miracle of the 2016 election, the role of we the people for the will of God in the future, and what the Body of Christ needs to do to keep His blessing on our nation." 2. Doing something to "keep His blessing on our nation" isn't grace or mercy; it is merit and works. Anyone who "works" for the blessings of God will always ultimately fail (ask Israel). If one really wants the blessings of God, trust the Good News He gives us through the Person, work, and teachings of Jesus Christ. The power of a gracious God from within transforms individuals, societies, and only ultimately nations. *If you read this book you'll learn how the enemy has utilized techniques of distraction to keep the Body's focus off of God and onto internal, demoralizing disputes and how this can be overcome. 3. That's a nice way of saying, "If you disagree with us, you're the enemy." Sorry, that's the methodology of spiritual abuse, and those who use such methods should always be ignored, no matter what they say. *If you read this book you will be given insight into the astounding, world-altering changes in our US government that Mark sees on the horizon. 4. Even if a retired firefighter could tell me what was on the horizon of the US government, why should I care? I have enough on my plate listening to the reigning King of kings telling me how to live my life. In short, I'm a citizen of a country not built with human hands, and to the King of that eternal Kingdom I owe my allegience. 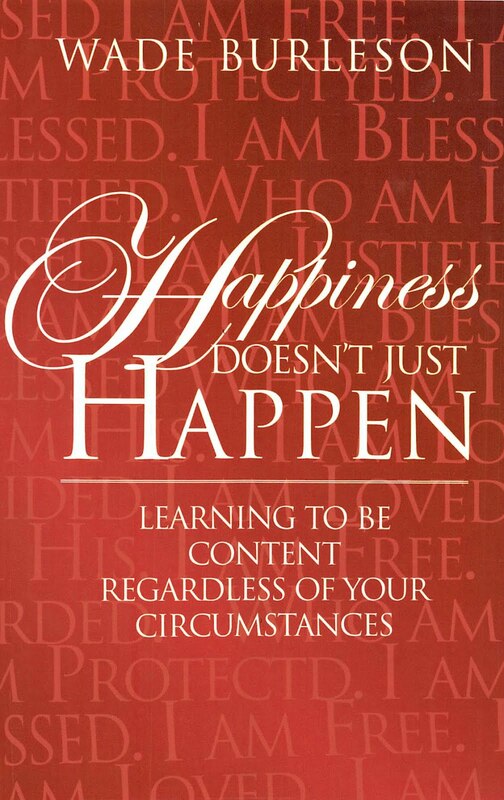 *If you read this book you'll receive the positive message of hope and encouragement that points to fresh methods of spreading the Gospel to the lost. 5. Of all the reasons given, this is the worst. I've never met a drug addict, a prisoner, a businessman busted for stealing, a career woman caught up in an affair, a married couple in the midst of a divorce, a politican who failed to get elected, a pastor arrested for a secret sin, or anyone else harmed or hurting by poor choices in this life who is encouraged by the election of a President. The only hope for mankind lies within the Good News, which is not news you'll find in the newspaper or book, but the Good News which God reveals in His Word. That is sufficient for me. Christ and what He accomplished is a fact of history. Unfortunately, it only takes a few vowels to change history into hysteria, both politically and personally. Funny how books are written about something they foresaw after they happened. If he would have wrote the book in 2011 when he had the "vision" and then Trump was elected, it would be more interesting to read. Even though I know that still does not address the points you made. This post reminded of something that I recall Dr. Penrose St. Amant at Southern Seminary saying in class. He said, "the older I become, the more astonished I am to find out what some people believe and why they believe it." without getting too technical, I first heard about Mark Taylor on Imonk site and reading the first introductions to his 'prophecies' brought to mind a book that had been required reading for me at university . . . . Eric Hoffer's 'The True Believer' (published 1951). so, there must be some layers of complexity going on in the lives of these 'followers' that make them vulnerable to the Mark Taylors of this world who offer a 'solution' to their grievances, even though that solution seems starkly pagan in its brutality. The needs of these followers must be born out the kind of pain that requires assurance that it will soon be ended. That is sad, but there it is. Such people are vulnerable, or as Our Lord once observed for Himself 'weary and confused'. And for them, He had compassion and mercy, not condemnation. I imagine He might not be so patient with those who knowingly manipulated and used these vulnerable folks for their own purposes, no. Internet Monk covered this in his 1/2/2019 posting, and the comment thread is hot. The problem is, to a LOT of Christians Trump IS the Second Coming of Christ. To listen to such Christian Leaders(TM) as Jerry Fallwell Jr and Franklin Graham talk, Christ Himself bends the knee and burns the pinch of incense to The Trump. It's like taking the Mark in Bad Christian Apocalyptic. "One night when I was feeling particularly down, I dreamed that the Holy Spirit placed His hands on the back of my shoulders in a gentle and comforting massage. Butterflies were fluttering all about the room, which I discovered later was a sign of transformation. The Spirit’s voice whispered in my ear two words I had never heard: “Shakina Kami.” I took this information to my interpreter friend; he told me they were names, and then gave me a resource to look up their meaning. “Shakina” as a name is African in origin, and it translates “Beautiful One.” “Kami” is an Indian name, and it translates “Whose Desires Are Fulfilled.” Additionally, both of these names, once traced back to some of their etymological roots, point to some renderings in Hebrew and Japanese that ring true to my spirit to this day. Shechinah in Hebrew means “settling” or “dwelling,” and it was most commonly used in reference to the dwelling of the divine presence of the Lord in one’s home or life. Kami is Japanese for “God” or “Lord,” and was therefore used by Japanese converts to Christianity and Protestant missionaries circa 1600 to refer to Christ—and, by extension, to the provision of the Lord of Hosts over one’s life. It is also a derivative of the Japanese compound word kamikaze, the “divine wind of God” or the “divine wind of God’s providence” (kami, “God”; kazi, “divine wind”; used in this manner for ages before it became known as the “suicide flyer” of World War II). I was floored when I realized that the Creator of the universe had renamed me as He had the patriarchs in the Old Testament, but I was even more amazed when I began to digest the translation of the new name. In the simple “Shakina Kami” sound the Holy Spirit uttered was the following: “Beautiful One Whose Desires Are Fulfilled, and in Whose Life the Lord Dwells with the Divine Wind of Providence.” Not only was He calling me beautiful, despite all my recent trudging through the mud of despair and depravity, but He was also telling me that the desires of my heart were His, and that they would be fulfilled through the direction of His all-knowing and divine wind. Little k, big K? Huh? Is that anything like Special K? 1. myopia: lack of imagination, foresight, or intellectual insight. 2. sophomoric: person who is overconfident with their knowledge despite being uninformed. 3. puerile: childishly, immature, babyish, silly, trivial. To the enemies of Trump, I’ll say, Hillary lost! Get over it! Amen to what RON said. something to comfort those among us who mourn the little ones who perished at the border. The authors of the book and the "prophets" side with Trump, no matter what. You sided with him the last time you voted; you assured us you will be voting for him, no matter what. You did take issues with the Trump "prophets." They may or may not take issues with you. So where is the difference between the twobof you other than a theological distraction on your part? Your next installment should address why Truth and speaking truth to power is more important than "an evangelical agenda" which essentially is linked to fear and a past that never was. As a historian I believe you understand the "past" evangelical crusaders are hoping to reclaim. In the end, our witness is discredited as a result of our thirst for power. You write, "So where is the difference between the two of you other than a theological distraction on your part? In the end, our witness is discredited as a result of our thirst for power." Respectfully, you make the same mistake and err in the same manner as the authors of The Trump Prophecies. You assume that people who vote in the manner you vote are on the side of God. The point of my post is that I refuse to believe anybody telling me "God is on their side" actually understands the Kingdom, which has very little to do with politics and everything to do with the Good News. "The Bekennende Kirche—the "Confessing Church"—emerged in opposition to the “German Christians.” Its founding document, the Barmen Confession of Faith, declared that the church's allegiance was to God and scripture, not a worldly Führer. Both the Confessing Church and the "German Christians" remained part of the German Evangelical Church, and the result was a Kirchenkampf, or "church struggle" within German Protestantism—an ongoing debate and struggle for control between those who sought a "nazified" church, those who opposed it, and the so-called "neutral" church leaders whose priority was the avoidance both of church schism and any kind of conflict with the Nazi state." and if something might be gleaned from their experience that can help Christian people today to sort out the role of the presence of 'the Kingdom of God' in their lives at this time when so many people seem confused and worried and are looking for guidance where it may be found. What made me go looking? "The point of my post is that I refuse to believe anybody telling me "God is on their side" actually understands the Kingdom, which has very little to do with politics and everything to do with the Good News." "Men live together only in the Kingdom of Our Lord. No where else." "Little k, big K? Huh? Is that anything like Special K? " You talking the breakfast cereal or Ketamine? "Oh, that's not Cocaine. It's Ketamine. It's VEH-RY Decadent. What it does is give you a Three-Day BAD TRIP." You know, "Shakina Kami" could also be translated as "Shining Spirit". I don't think Mark Taylor is some kind of 'demon', hardly. He spouts so much that is over-the-top crazy that I think, if he is 'on the level', he must be suffering from delusions and in need of help. possibly, he is under the 'influence' of those who have other agendas and are adapting his 'crazy' to work for those agendas. although for me, I think it tells us even more about Falwell, Jr. and Franklin Graham, as if we were not already aware of their agendas. But it seems even for them such a desperate thing to advocate for Mark Taylor, whatever his problems are or whoever is using him for a puppet. That 'desperation' is not a good sign. This is all affecting the Church's witness, I fear. To listen to Liberty U, Franklin Graham, and their choice of Prophets (Shakina Kami) prophesying New Inerrant SCRIPTURE, Jesus Christ bends the knee and burns the pinch of incense to The Trump. While four out of five Christians chorus "AAAAAAAA-MENNNNNNN!" I really wonder with some that have initial visions like Trump becoming president aren't simply being encouraged by the Holy Spirit. I had a discussion with a charismatic once that having visions about something doesn't make that person anointed as a prophet. A true prophet deal with all prophecies in general especially with the prophecies in Scriptures. Being in prayer after Trump became president, I became convicted that God wanted this time for church leaders to cut ties with false prophets, teachers, and evangelists during this time. Patterson is not the only minister that needs to leave the Fort Worth area, there is another one with his five planes that needs confronting too. 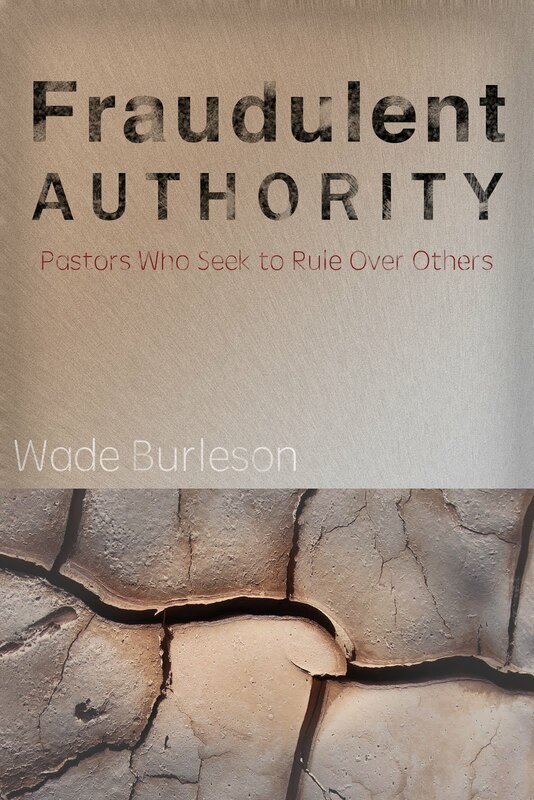 I think you are right on target with this Pastor Burleson. Mark Taylor needs to reconsider a lot of things with his assumptions as a prophet. In light of new revelations in the news, I am wondering what Mark's 'followers' are thinking about whether or not it is 'God's will' that Trump befriend and work on behalf of the interests of Russia while serving as President of the United States. There is NO PROOF yet known that this has occurred, although many 'signs' are intriguing, notably Trump's attacks on NATO; but something alarmed counter-intelligence officials in our government concerning this matter after 2017 and they may have opened an investigation into whether or not Trump is serving Russian interests in conflict with American interests as President. I know it sounds to bizarre to be true, but Putin must have been glowing after Trump went after Nato and bad-mouthed our long-standing allies, and still praised Putin on more than one occasion, recently mouthing Putin's propaganda concerning Afghanistan. Strange days? Yes, and into this comes 'prophet' Mark. Connection???? Has Mark been preaching that 'God says Russia is our friend' ? If so, there is more to the Mark story than just what has been discussed so far. “Shortly before the vote, an Israeli official used unprecedentedly harsh language to accuse the Obama administration of scheming with the Palestinians to harm Israel with the resolution. Christiane, you’re right that Trump went after NATO and reversed what they had done. When Judy and I visited Israel with Wade’s church, I told him I was glad Trump had reversed what Obama had done because I’d hate to have 55,000 Jews angry with us. Today’s newspaper: At least 35,000 Texans with federal jobs aren’t being paid because of the shutdown. Picture shows a march in Washington D.C. on January 10 to end the Shutdown. but our Jewish community is VERY supportive of the idea that Israel exist in this world AS a country. I'm not so sure of the wisdom of building 'settlements' on lands near the borders with 'unfriendly' neighbors, though. That sounds very provocative, and when families with children inhabit those settlements, there is a moral concern for the safety of children (my opinion, being me of course). I don't think Israel seeks peace with its neighbors, but the history between them is so filled with ill-will that I am not sure peace is possible, at least not now. Something can be done, but only if the parties are both willing to proceed in good faith and they are not 'there yet', sadly. I am very pro-NATO myself. We have family now in Latvia and they lived once under Russian rule and they don't want to go back to that again. NATO is a barrier to Putin's aggressive tendancies, as far as the Baltic countries are concerned. I am not a fan of Putin, no. Soon, this whole political thing will blow up and goodness knows how it will all turn out. I just hope people try to do what is right for the sake of OUR country and its allies that share our values. My son is moving up in the Coast Guard, and we are so proud of him. Someday, he will get paid again, and maybe even the back-pay; but in the mean-time, we are helping out. Other Coasties aren't doing as well and a lot of folks are very concerned for their families well-being. All I know is people are suffering that have done nothing wrong, and that is immoral in my view. I hope it comes to an end soon. Grateful that Wade said he would pray for the ones who are in need. Israel is a precious entity. I hope it becomes the country that it was destined to be and will take responsibility for leading the whole region into peace. It's time for better to come in that special and holy land, sacred to so many people of faith. Hope you are doing well. Have a good Lord's Day. First of all, anything about "prophecy" from a "Charismatic" source isn't going to be prophetic and is going to be full of erroneous assertions based on revelation that didn't come from God. Second, many of the same self-appointed Christian "leaders" who are attempting to go way beyond reason in their support for Trump are the same ones who once stated that it didn't matter how well the economy was functioning, or how well the country was doing, it did not justify support for a leader who lived an immoral lifestyle (Bill Clinton). That's hypocrisy. If you look at the goons and thugs that have been working for this guy prior to his election, you can see why character is lacking, morality is turned upside down, and his supporters have sacrificed character and decency for political expediency. Remind me again what he's done that's worth giving up any of that? Does anyone watch Hannity? Here is something worse. He interview 12 family’s that had their children murdered by illegals. They waited in Nancy Pelosi’s office to talk to her, but she dodged them. Another group of 2,000 from Honduras are headed for our border. The American people need a wall. Just catching up on your blog again, and this is EXCELLENT. Thank you! Coast Guard does worse at sea. Cognitive dissonace is glaring on this point. Respectfully. Supported the President both during and after his election and willing to compare my track record of character and integrity with yours point for point. Let's do this. I'm concerned about anyone who drinks the kool-ade and listened to no news other than Fox News. I'm concerned about anyone who drinks the kool-ade and listens to no news other than Fox News. I’m concerned about someone who has to post their comment twice…sounds like CNN. I’m a Fox fan. YEA FOX!